With this style, I aimed to have thick ink look with fading tips kind of like smoke. Interested in getting this style tattooed? 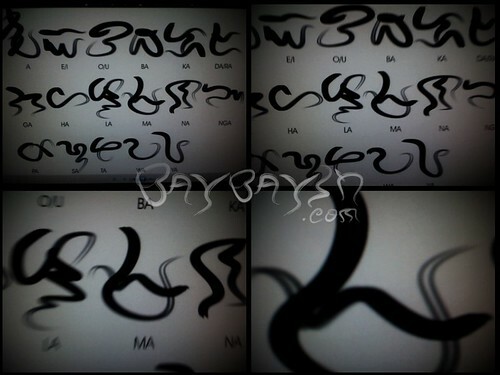 Check out my Baybayin translation services on PinoyTattoos.com. This entry was posted in Art, Articles, Videos and tagged script, smoke, tattoo. Bookmark the permalink.